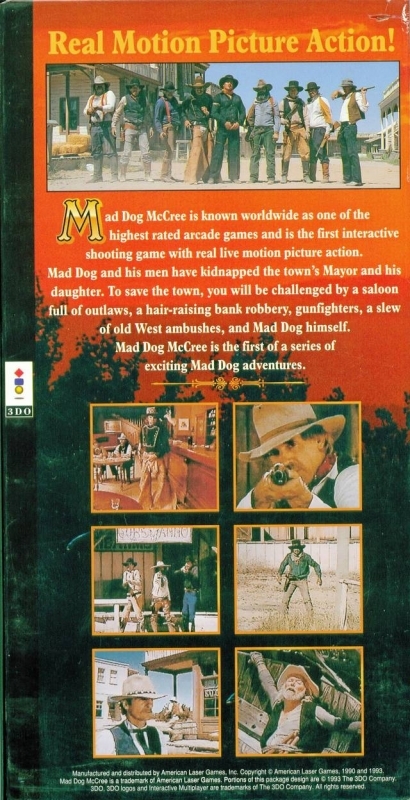 Mad Dog McCree is know worldwide as one of the highest rated arcade games and is the first interactive shooting game with real live motion picture action. Mad Dog and hsi men have kidnapped the town's Mayor and his daughter. To save the town, you will be challenged by a saloon full of outlaws, a hair'raising back robbery, gunfighters, a slew of old West ambushes, and Mad Dog himself. Mad Dog McCree is the first of a series of exciting Mad Dog adventures.